February 8, 2019, marked the three month anniversary of California’s Camp Fire. The day was chilly, at just 14°F. Over 700 people gathered at the Interfaith Camp Fire Memorial Service to commemorate those who’d passed as a result of the fire. Three months earlier, the same group of people were forced to leave their homes across Butte County, particularly in Paradise, Magalia, Concow, and Yankee Hill. Now returning to the Paradise Performing Arts Center, they pray for Paradise’s rebuilding. Many are reuniting for the first time since they were forced to evacuate. 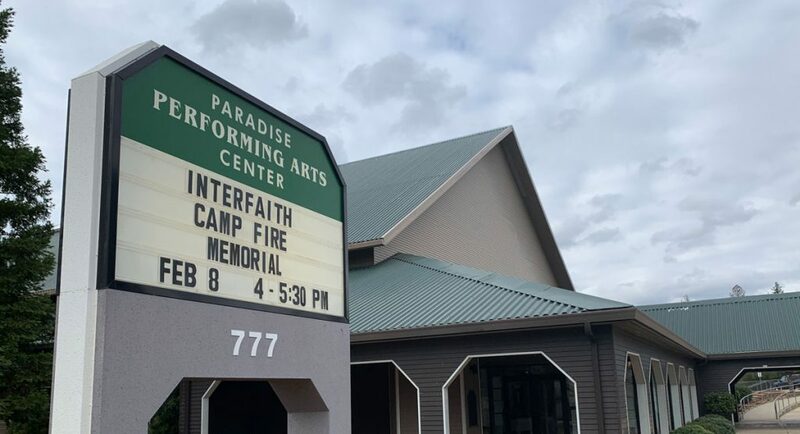 The Interfaith Camp Fire Memorial Service was hosted by the Chico Area Interfaith Council at the Paradise Performing Arts Center, one of the few places in Paradise not destroyed by the Camp Fire. It was the venue’s first major event there since then. Tzu Chi Northwest’s Camp Fire disaster relief operations had been in Chico for over a month. On the day of the memorial service, more than twenty Tzu Chi Northwest volunteers and community members returned to pay their respects, bringing their most sincere blessings for the rebirth of the city. After learning about eternity through self-cultivation, I feel that there is a greater inner intrinsic. I am very grateful to be here (at the memorial), giving power to those who need it, which is a wonderful thing. After being helped and cared for by Tzu Chi volunteers, Maureen joined as a day volunteer the Chico DRC. She helped with distributing cash cards and relief goods, and she tried to comfort the victims. Maureen believes this kind of care and compassion will bring positive energy to those around her. 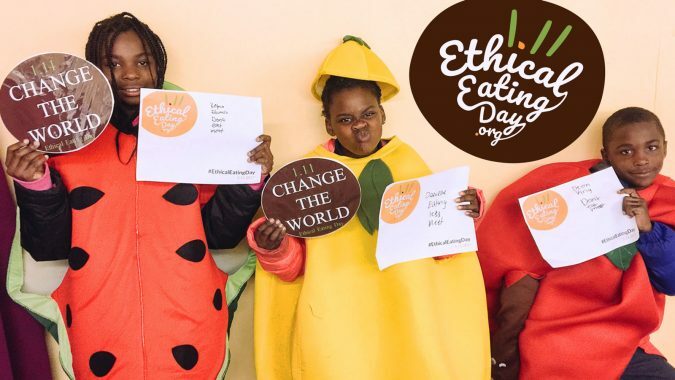 During the one hour and a half program, there were 24 different performances presented by various religious groups, folk art artists, and people in the community. It was a solemn yet warm remembrance. 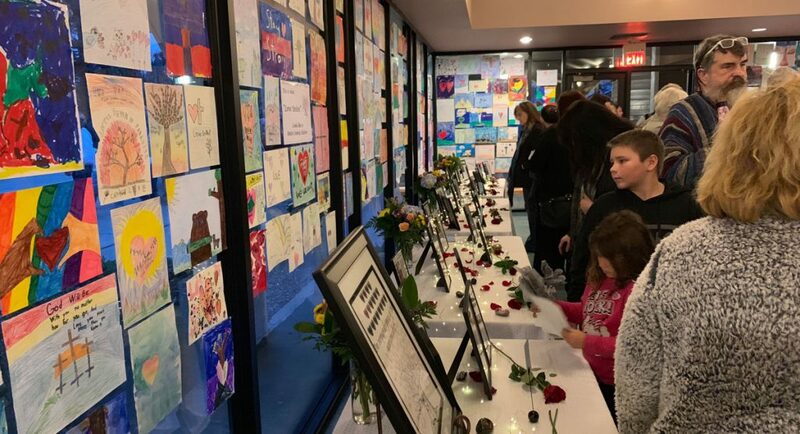 The memorial service was kicked off by the song “One Power,” whose lyrics echoed the theme of the memorial; the shared love in our hearts, not alienated by language, clothing, skin color, nor names. 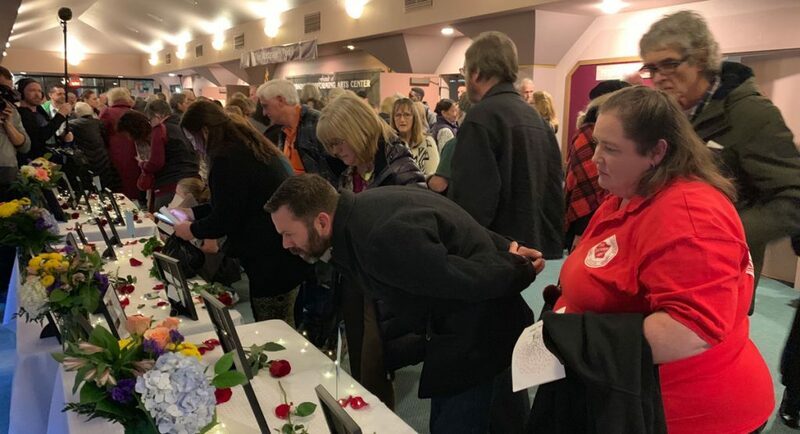 With the melodious piano, and looking on at the pictures and silhouetted portraits of those who’d passed on stage, we were praying in our hearts, sending out our most sincere love and blessings. 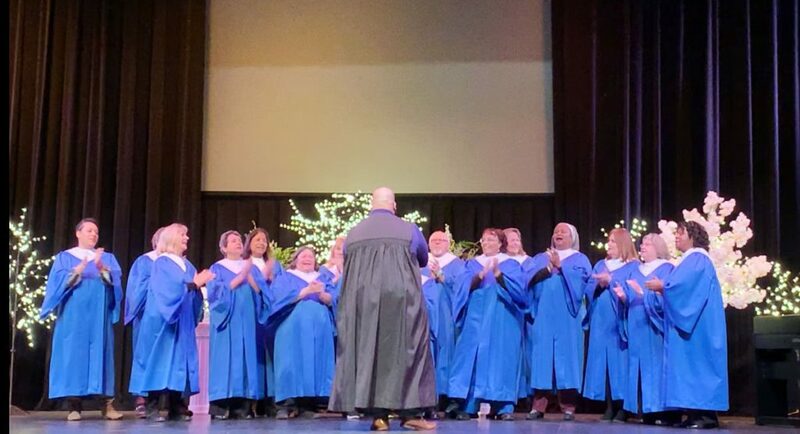 The memorial service included songs from gospel choirs, acoustic performances, Bible verses, poems read by the residents, stories from families, and the “Love and Care For All” song by Tzu Chi volunteers. The show reflected the remembrance in our hearts. Dressed in Tzu Chi’s signature blue cheongsam, or traditional mandarin-collar, dresses, seven Tzu Chi volunteers performed “Love and Care For All” in sign language. 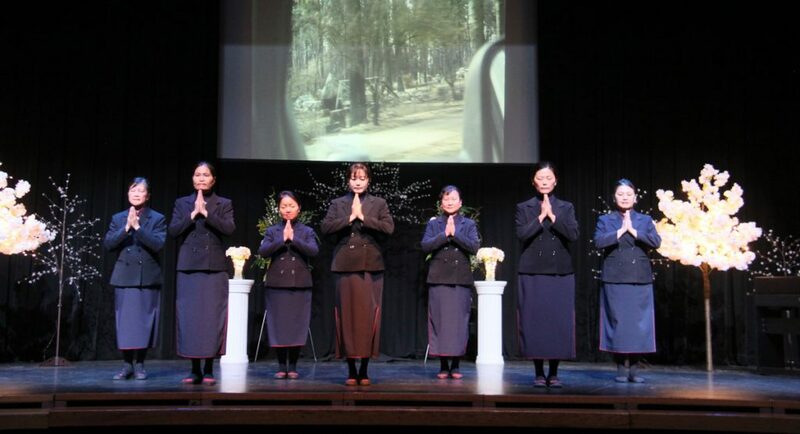 At the same time, a clip of Tzu Chi’s Camp Fire disaster relief efforts played behind them on stage. The volunteers’ palms opened and closed, like a blossoming heart. The audience joined in and sang along with the lyrics on the screen. There were smiles in the crowd after seeing the volunteers and the survivors hugging in the video. After the memorial service, many people came to thank Tzu Chi volunteers. When they met each other again, they happily hugged like old friends. 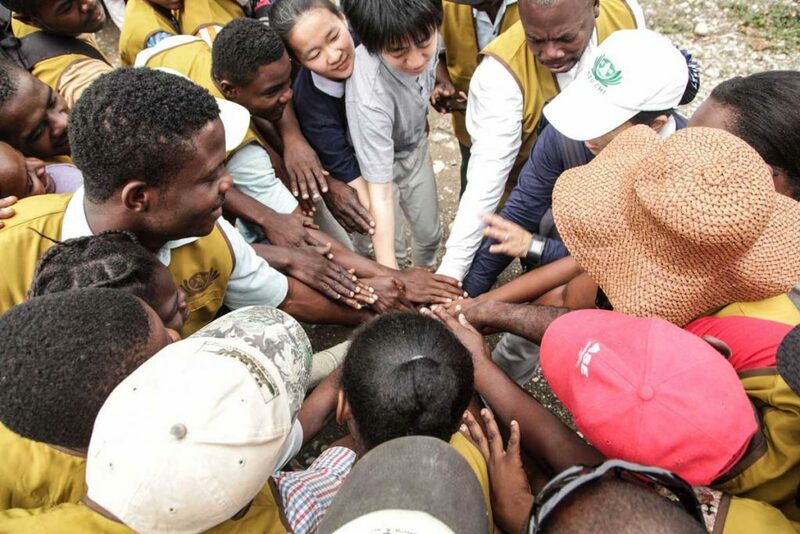 Tzu Chi volunteer Eric Kawasaki (Wei Zhen) said that Tzu Chi had been doing its best at the Chico DRC. For the past three months, Tzu Chi volunteers worked through Chico, Paradise, and Oroville. Together with the local government, community organizations and other disaster relief groups, we hope to reconnect the community, and help residents recover from the disaster. Eric further mentioned that every Friday, all disaster relief groups would gather together in the Chico Church to discuss the long-term assistance program. 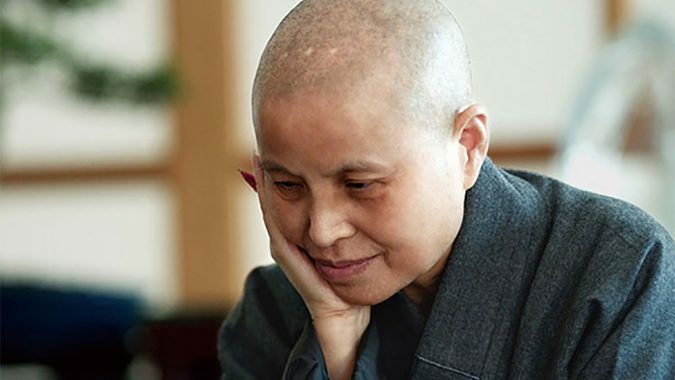 Even though most Tzu Chi Northwest volunteers live further out near the Bay Area, they still drive at least three hours and a half to be there for the meeting as much as they can. 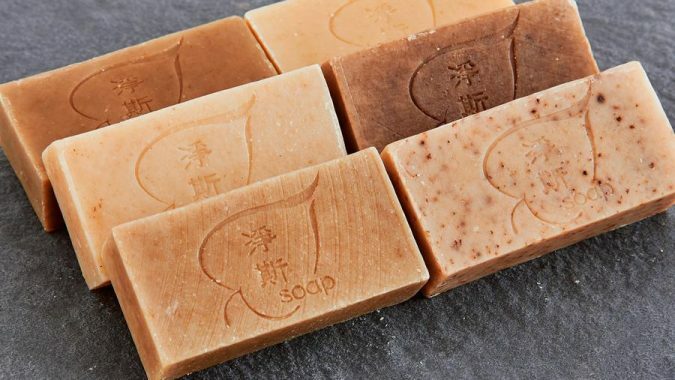 They kept Master Cheng Yen’s words in mind: “it is our responsibility to join the community, and help those who suffer.” They are putting Master Cheng Yen’s words into action. 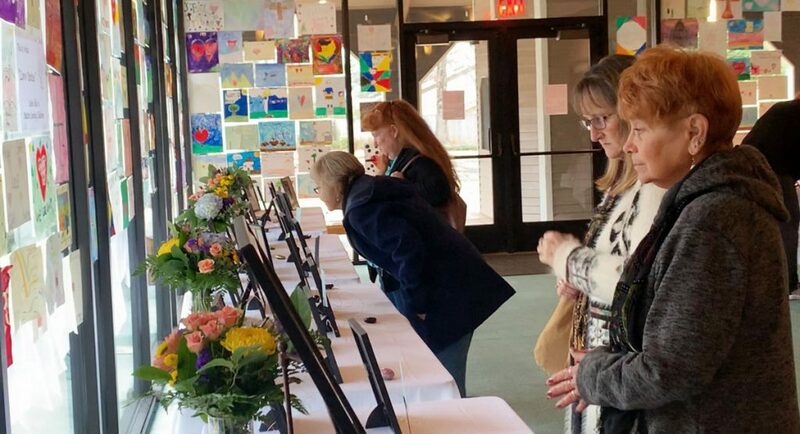 At the memorial service, community residents and disaster relief groups were united. 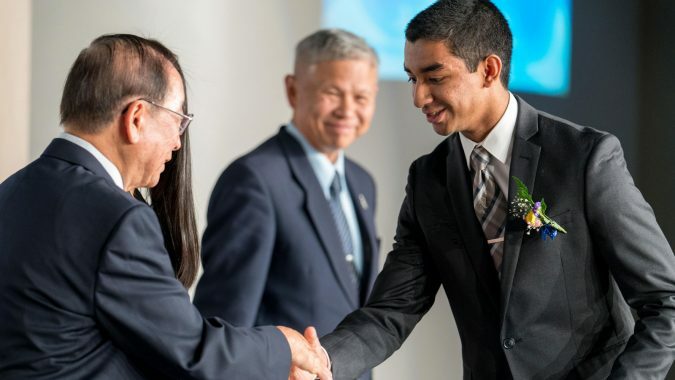 Tzu Chi USA was and will always be there.